Ask Sid: Serve wine blind at dinner parties? Question: What are your thoughts Sid on serving wines blind at dinner parties? Answer: An interesting and controversial question! 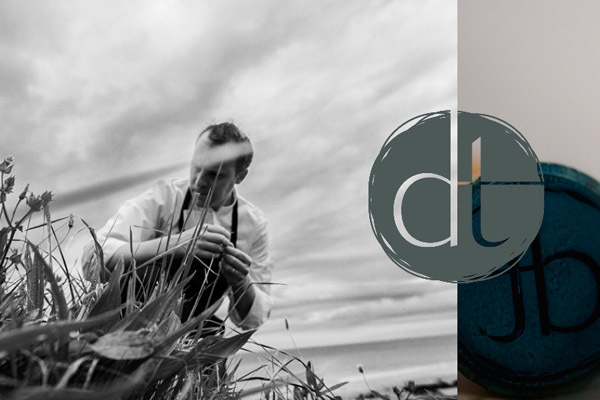 Depends a lot on the occasion including whether more formal with a printed menu or a casual informal gathering as well as who your guests are. 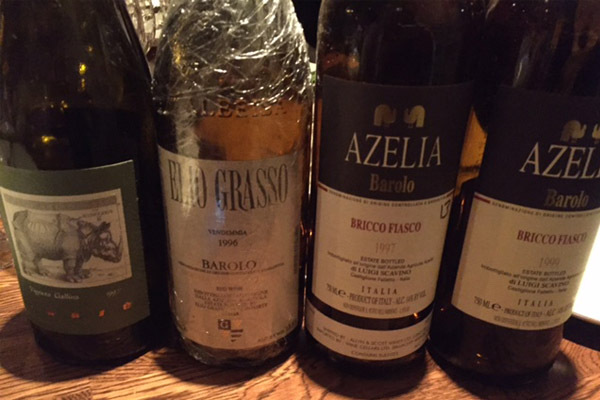 With a printed more upscale menu of several courses guests often appreciate the anticipation of seeing which wines are going to be served with each food course ahead of time. Sometimes we first print the menu without the wines listed and after the actual wines are disclosed then give them the second menu with those wines noted before they leave or even later by email. Bagged bottles can be fun particularly at more informal educational events among knowledgeable wine friends. For many decades as host I always have served the wines blind at all our dinner parties. As I get older and am tasting wine blind so often every week I am tending less to make it a work study over a relaxed dinner setting. When I am a guest I am attending with a lot of wine baggage so I still like to get my first quick impression of the wine blind without knowing what it is. However I don’t really like spending the whole evening analyzing and trying to identify each wine when that is detracting from my focus on the food, the matching and the group conversation. My wife always has had her wine served blind by me when we are at home dining alone and as a result has become a rather brilliant blind taster herself. You might be tricky today on Halloween or any day by serving the wine blind in an unexpected shape glass for that wine. For example a Bordeaux in a Burgundy glass or vice versa. Tricky indeed! Enjoy dinner parties to the fullest by finding your own comfort level on the wine service you like. 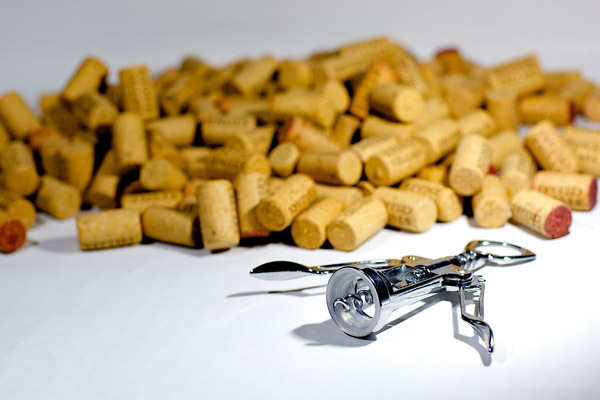 Have you ever served wine blind at a dinner party? 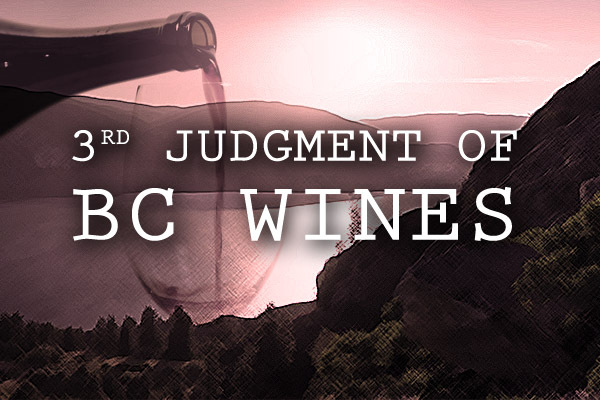 Below is the official release summary by the BC Wine Institute on the exciting 4th Judgment of BC Wines featuring Sparkling & Bordeaux Blends held on October 23, 2018. 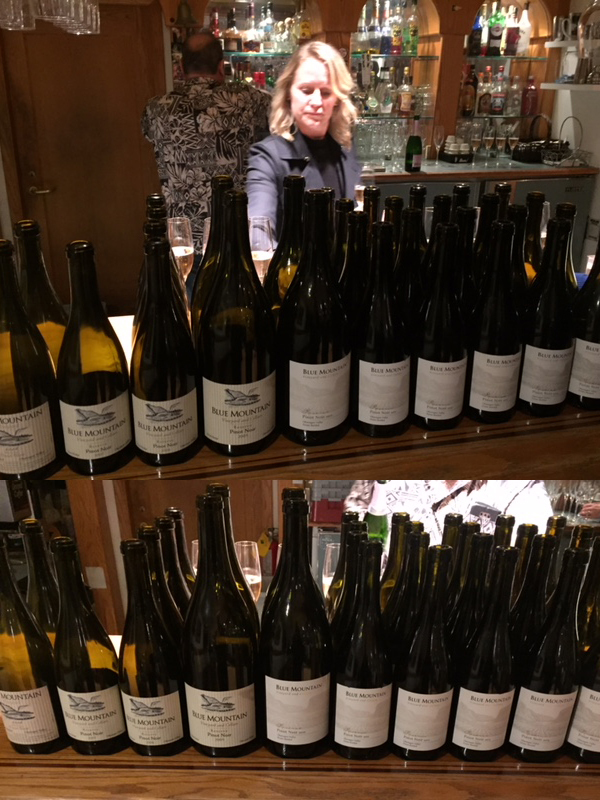 This follows their earlier first three held on August 25, 2015 (reported by your scribe on this blog August 31) with Chardonnay & the excellent showing BC Syrah, then June 21, 2016 (reported June 27) on Riesling & Pinot Noir, and on August 18, 2017 (reported August 28) with Pinot Gris & Merlot. 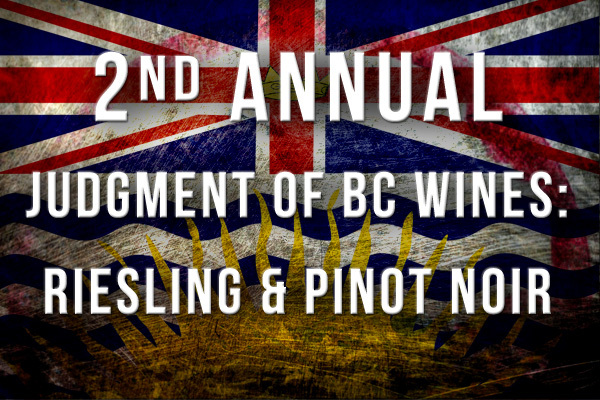 Another good showing from the BC wines in tough company. Sparkling decided the first 3 spots for Champagne house connections though gold was from dependable value Roederer Estate California that was served last (though the tasters tried all 12 in different sequences) and was clearly the sweetest one at 12 grams/litre of residual sugar and only 2+ years aging. Veuve Clicquot #2 is a solid big selling Champagne with lots of reserve wines (30-45%) added for rich approachability with 30 months lees and sweeter at 9-11 g/l plus #3 Pierre Paillard has less dosage (3.5RS) with 4 years on the lees. Would have enjoyed having one of the improving English Sparkling examples (like Nyetimber) in this line-up. Another fine showing in 7th was by Graham Beck from South Africa also in a drier style (2.3RS) but showing impressively most lees for complexity with 72 months en tirage. The fresh well balanced natural acidity style of BC wines took places 4, 5, and 6 with most worthy examples of quality bubbles. All twelve were blends except for Blue Mountain 100% Chardonnay & Tantalus 100% Pinot Noir. Well done indeed! 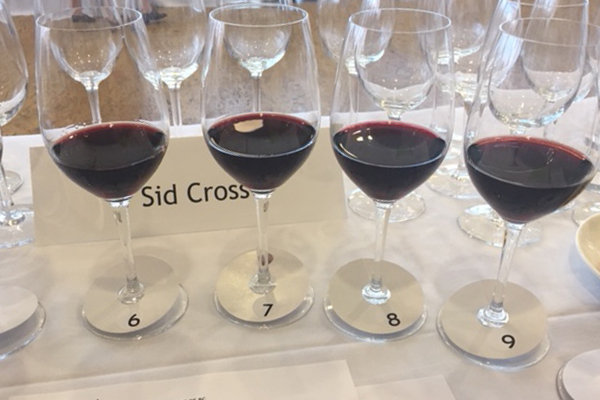 Bordeaux Blends was a much more difficult tasting test with a diverse mix of grape varieties but especially being from different micro-climates and showing such young vintages (six from 2015, 5 from 2014 & one 2013). They ranged all the way from a lighter easier drinking 90% Merlot blend from Fronsac in Bordeaux to full powerful expensive Napanook by Dominus (with 88% Cabernet Sauvignon, 9 Petit Verdot 3 Cabernet Franc)) & dense presently brutishly tannic Signature from Clos de Soleil in Similkameen Valley. Tough to compare the 12 wines. Unfortunately the Chateau d’Armailhac Pauillac 2015 which has shown before refined elegant and floral on this occasion was way too much wet earthy off bottles. Beware. Lovely delicious subtle charm from underrated Chateau Poujeaux. The Selection Committee did an outstanding job in picking 6 wines out of 99 potential candidates that expressed a more elegant balanced style to compete. The top two winners are both respected blends with distinct terroirs from the Okanagan with Legacy (44CS/27CF/13Malbec/13Merlot/3PV) of Poplar Grove & Portfolio (45Merlot/32CS/18CF/2PV) by Laughing Stock. They both are deserving of further recognition for sure. 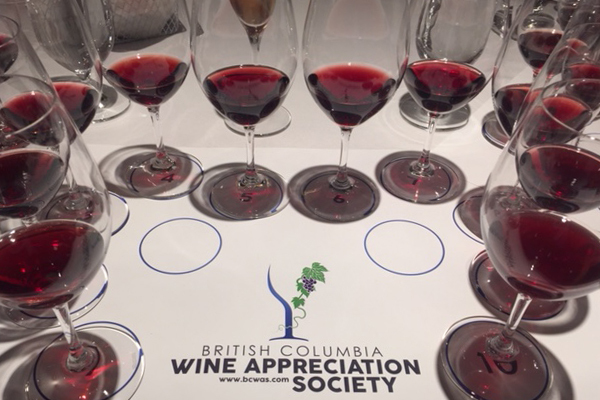 A super showing for the much improved Bordeaux blends from BC. Congrats. 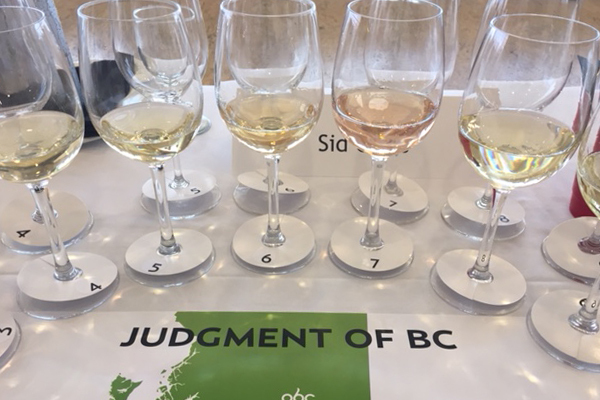 October 26, 2018KELOWNA, BC – The Wines of British Columbia were put to the ultimate test at the fourth annual Judgment of BC on Wednesday, October 24, pitting 12 BC wines against 12 acknowledged global benchmarks. We are proud to announce BC’s Poplar Grove Winery The Legacy 2014 BC VQA Okanagan Valley ranked first among the flight of Bordeaux-style red blends, with BC’s Laughing Stock Vineyards Portfolio BC VQA Okanagan 2015 close behind in second place. Roederer Estate Brut NV from Anderson Valley, California came out on top for the flight of traditional method sparkling wines with BC placing fourth, fifth and sixth.Hosted by the BC Wine Institute, and curated by Vancouver based wine expert DJ Kearney, the Judgment of BC took place in Kelowna in the heart of wine country, during which 37 international and national wine judges blind tasted and ranked the 24 wines. 12 were traditional method sparkling wines and 12 were Bordeaux-style red blends, six of each were from BC and six were international benchmarks.The BC wines selected for the Judgment were hand chosen through a blind tasting by a Selection Committee of Barb Philip MW, Rhys Pender MW, Dr. Janet Dorozynski, Kurtis Kolt, Michaela Morris and Jason Yamasaki, led by DJ Kearney. 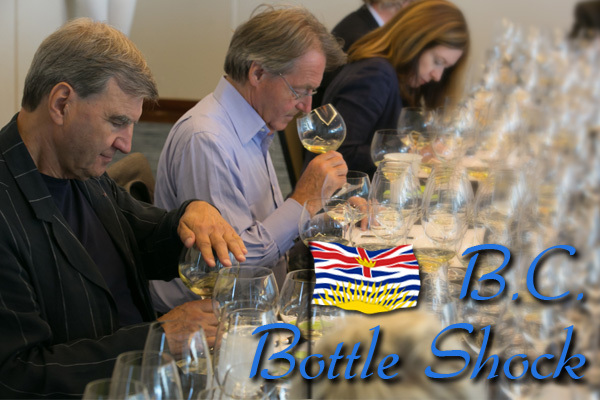 Ninety-nine wines were tasted prior to selecting the final 12 BC representatives. “Our traditional method sparklers showed elegance, finesse and refinement.” notes Kearney. Blue Mountain’s Blanc de Blancs 2010 R.D. 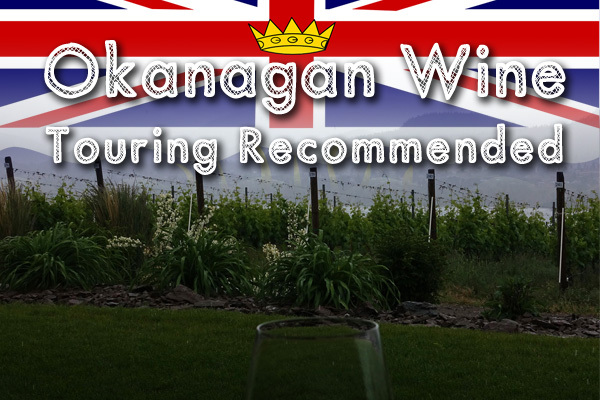 proved to be the top ranked BC wine, placing fourth place. 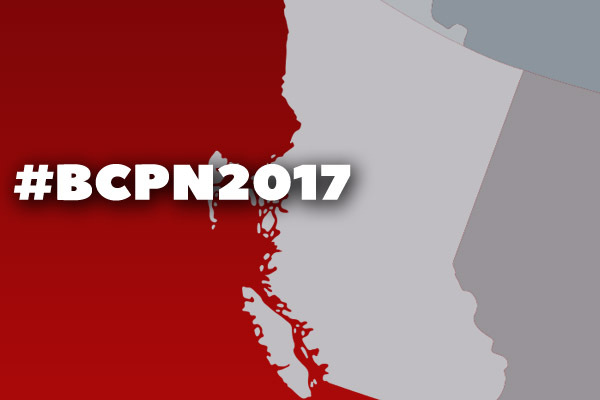 “The annual Judgment of BC allows us to gain insights and knowledge into how we compare internationally. Introspection is a critical part of ensuring we continue to make high quality wines, and also allows us to collectively celebrate as an industry. We have so many reasons to be proud, and the future is very bright.” says Kearney. 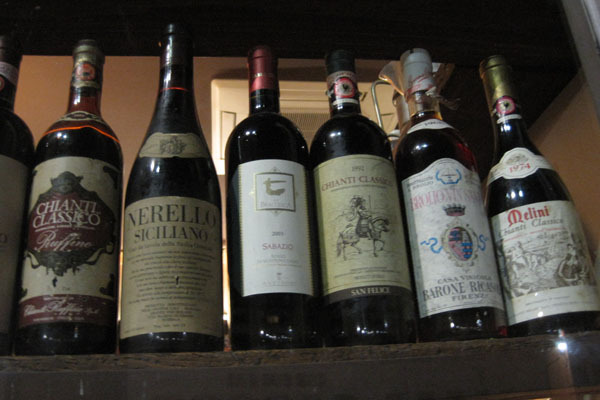 Ask Sid: (UPDATE) Chianti vs. Chianti Classico? 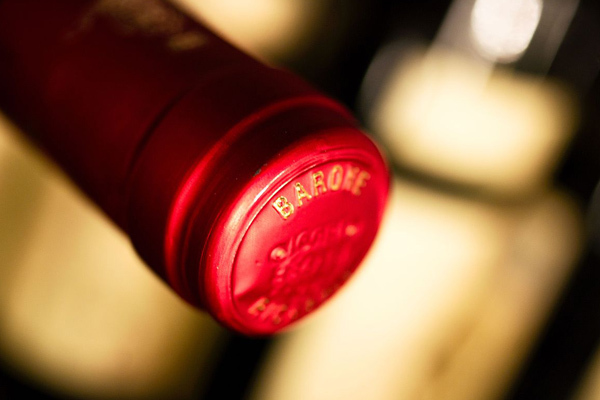 Question: What is the main difference between Chianti and Chianti Classico? Answer: Main difference is that although they share the same name they are entirely separate regions and different wines. Chianti is the name of a territory delimited in 1716 and the name of a wine made in Tuscany but not in the geographical zone called Chianti. Chianti Classico is the name of a wine made in the geographical zone called Chianti and the only one entitled to bear the historic Black Rooster symbol. Chianti Classico is now that original zone from 1761 then called Chianti. As of 2010 Chianti is banned in the Chianti Classico zone . 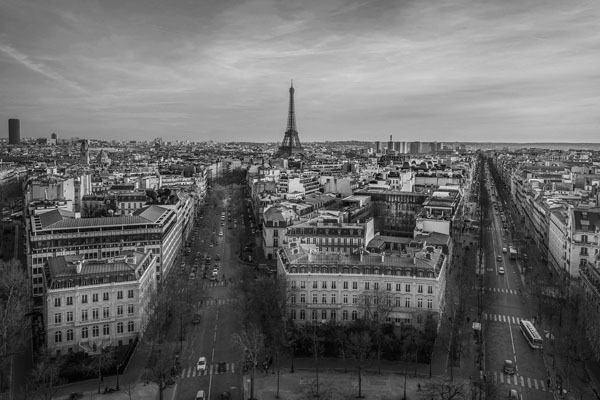 Ask Sid: Wine shops in Paris? 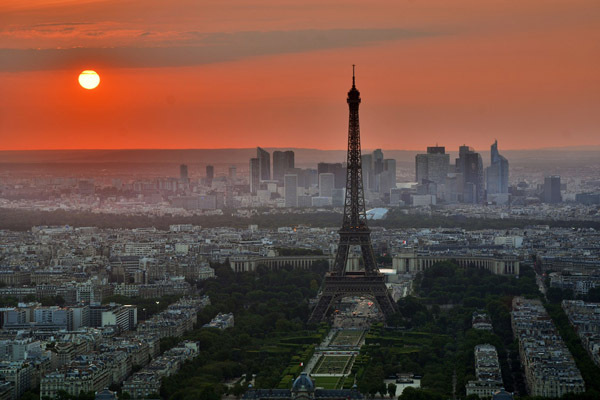 Question: Heading to Paris and would like a recommendation for a big wine shop with many selections. Your help please? Answer: One of the delights of visiting Paris is popping into a diverse number of quite small wine shops in the 20 different arrondissements or districts all providing some unique wine selections. However one of the better ones to check out is Nicolas with many outlets usually with some wines on sale – especially Champagne. Department stores such as Bon Marche and Galeries Lafayette have extensive wine departments. Another must is the large Lavinia in the 1st A at 3 Boulevard de la Madeleine downstairs cellar with their excellent selections of older vintages of classic wines. They also have locations in Madrid & Geneve. They have a value priced exclusive at 19.90 euros like the elegant 2015 Pernand-Vergelesses from quality Burgundy producer Pavelot or even a vertical of Chateau Pichon-Lalande starting with the current vintage of 2015 (242 euros a bottle) back to more expensive older ones of 1988 (365), 1986 (575), 1985 (655) and 1981 (386). 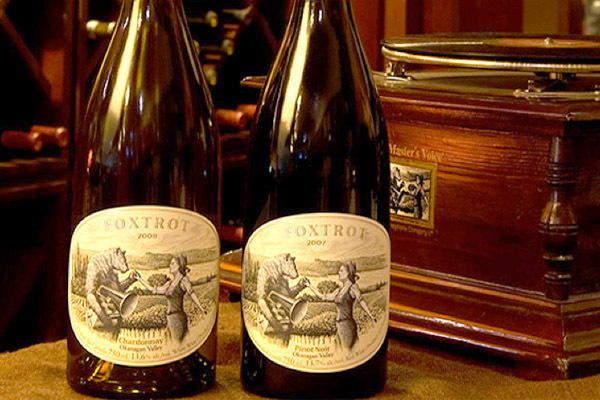 Check out these suggested ideas and enjoy your wine shopping fun experiences in Paris.